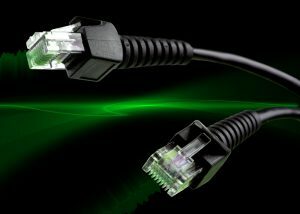 Power over Ethernet (PoE) switches use Ethernet cables to supply power to other PoE capable devices on the network, such as Wireless Access Points, IP cameras, VOIP phones, and other switches, etc. This feature allows the user to power these devices without the need for a separate power supply or the need for an electrical outlet near the powered device. If your PoE device uses the PoE standard 48V 802.3af or 802.3at, it is considered to use active POE. This means that the device will check the power coming in, and, if it doesn’t meet the device requirements, it just won’t power up. PoE standards have been optimized for safety. In addition to a safe voltage range, the devices must communicate according to established procedures. Before providing the supplying voltage, the PoE power supply unit tests the connection. 802.3at then does a “handshake”, meaning it checks to ensure the power is compatible between the PoE sender and the receiver, and won’t power up if the receiver does not acknowledge. Passive PoE usually refers to any device using PoE that is not 802.3af or 802.3at. This includes devices such as cameras and radio antennas that run on 24V PoE. Passive PoE does not perform a handshake, so it is extremely important to know what PoE voltage your device requires before plugging in the Ethernet cable and powering it up. If you connect the wrong voltage you may cause permanent electrical damage to the device. Passive PoE is like plugging a 120V appliance into a 240V outlet, but with devices than cost much more than a simple toaster. NETGEAR has made the choice to follow the standard for higher security and better ability to connect and communicate with PoE devices, as the large majority of PoE devices follow these standards. NETGEAR switches can power any 802.3af or 802.3at device of the market, making them the most flexible, secure and versatile PoE switches out there. Initially, it might seem like a good idea to opt for passive PoE over the industry-standard active PoE, but it could very well end up costing you a lot more, in the long run. The only way to ensure complete compatibility with the majority of PoE devices on the market is to stick with the industry standard, active PoE. Click here see what NETGEAR offers for PoE today!